Now, Gaimon pulls back the curtain on the WorldTour, cycling's highest level. He takes listeners along for his seasons in Europe, covering everything from rabid, water-bottle-stealing Belgian fans, to contract renewals, to riding in poisonous smog, to making friends in a sport plagued by doping. 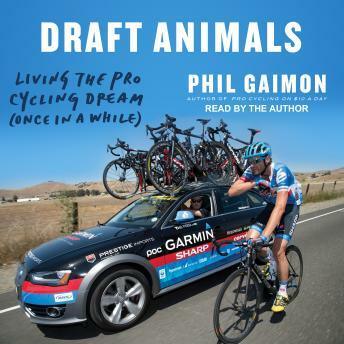 Draft Animals reveals a story as much about bike racing as it is about the never-ending ladder of achieving goals, failure, and finding happiness if you land somewhere in-between.